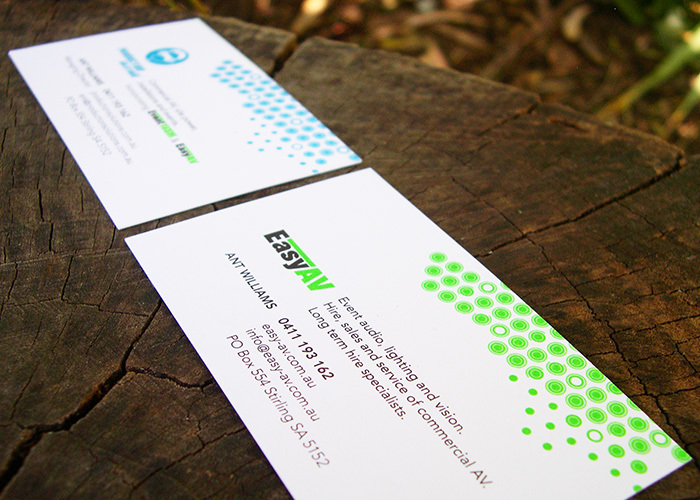 Our client came to us with the challenge of creating a single cohesive business card that catered for two different facets of his business. We used one side of the business card for each business facet and created a textural pattern to provide a common branding element. 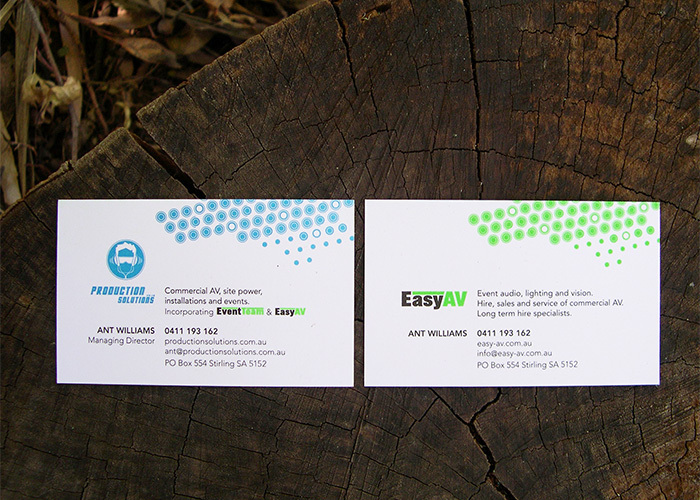 Colour was used to differentiate the two sides and the neon inks used really make the cards pop!